A culmination of a 34-year restoration project with 16th-century maritime engineering protected 21st century Hanwell Pro technology. The Mary Rose was built in 1510 and was in service until she sank in 1545. The sunken ship then lay beneath the water for more than 400 years until she was discovered in the Solent in 1971 by a project team initiated by Alexander McKee and the Southsea branch of the British Sub-Aqua Club and finally raised in 1982 by more than 500 divers, archaeologists, and scientists who developed new techniques in diving and conservation. A ‘ship hall’ was actually constructed over the ship in the dry dock, located at The Mary Rose Portsmouth Museum, Portsmouth Historic Dockyard, in an ambitious and challenging conservation of this officially-listed monument and 2013 saw the opening of a wonderful new museum. 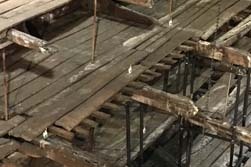 During the Mary Rose Portsmouth museum’s construction the ship’s hull was contained inside a sealed ‘hotbox’, and in April 2013 the polyethylene glycol (PEG) sprays that gradually replaced the water within the timber were turned off, and the process of controlled air-drying began. Ducts were placed evenly around the ship for the air-drying process to ensure that the ship dried evenly, minimising distortion and cracking of the wood that would occur if some sections dried faster than others. 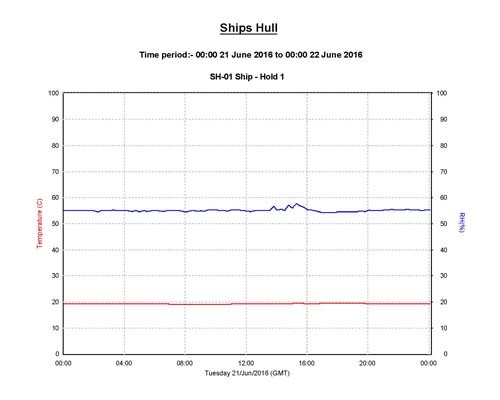 Our specialist engineers were called in to install the firm’s sophisticated technology and 30 environmental monitoring sensors were placed on or near the hull, continuously checking and recording temperature and humidity. The ship is now sufficiently dry to remove the ducts, lower the intensity of the drying system, and open the museum up further to the public. 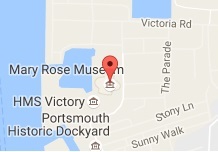 For more information about the Mary Rose Portsmouth Museum, click here. The Hanwell Pro technology continues to play a crucial role in protecting the historic ship’s safe passage back into the limelight, explains the Trust’s Head of Conservation & Collections Care, Eleanor Schofield. 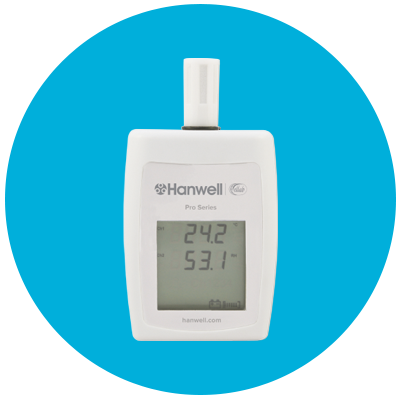 “The Hanwell monitoring system was easy to set up to give us all the data we needed and we link it to alarms, which are set so that if one sensor reports an environmental factor has become out of tolerance we can react quickly. Now, the ‘hotbox’ itself has finally been removed and for the first time since 1545, the ship will be revealed dry, along with many of the artifacts recovered from within the ship – fully integrated into the museum environment dedicated to the warship and the historical context in which she was active. Until now the public have had only a limited view of the ship due to the tightly-controlled environment. Now that the ship is sufficiently dry, it is possible to open more of the ship to visitors. The salvage team discovered only half the ship so as part of the $47m project, galleries representing the lost half of the ship were created, to give visitors a real insight into what life on board the Mary Rose was like. There are three viewing levels: The top level is a balcony looking down on the ship, the other two levels allow visitors to view the remaining hull on one side and the artefacts found on the Mary Rose on the other side, such as weapons, the crew’s possessions, and even musical instruments, all of which help to capture the atmosphere and complete the story. The graph is an extract from a Hanwell Pro report showing that the mean, min and max readings for both RH and T have been within their limits of 50-58% RH and 64°F – 68°F 100% of the time over a 24hr period. If limits were breached the experts would be alerted and would look at their BMS and air handling units and determine if they are providing the right conditions. If not then adjustments would need to be made to ensure RH and T are brought back into spec. Eleanor Schofield, Head of Conservation & Collections Care at The Mary Rose Trust. Mary Rose Portsmouth. The Mary Rose Trust, based at Portsmouth Historic Dockyard, aims to preserve, display and spread knowledge about the 16th-century warship that sank in the Solent on 19th July 1545. The Trust successfully salvaged the ship in October 1982. The ship was freed from its chamber in July 2016 at The Mary Rose Portsmouth Museum.